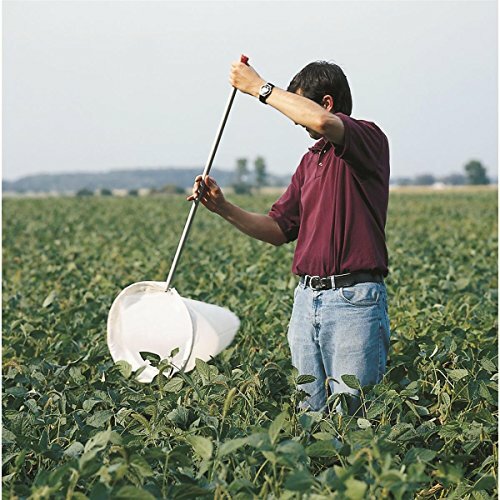 Monitor insect populations with these lightweight sweep nets. Sailcloth net bags are tougher than muslin and stand up to everyday duty in brushy or spiny crops like alfalfa and cotton. Ideal for sweeping above the crop, making limited contact with the plants. WHAT'S INCLUDED: 36" Long birch handle with 15 inch sailcloth net. Other sweep nets available in our Amazon store. MUSLIN or SAILCLOTH: Muslin is lighter in weight and dries out more quickly. Sailcloth is tougher and stands up to everyday duty in brushy crops. PERFECT SIZE: Most sweep net tasks call for a 15"-diameter net opening.